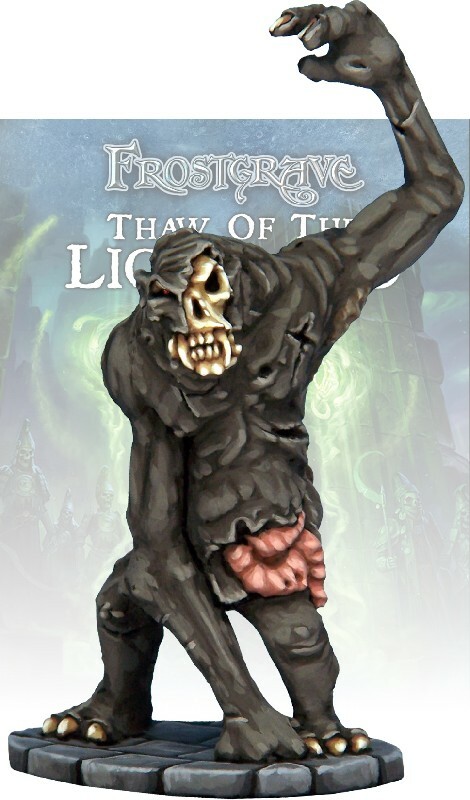 Theoretically, the corpse of any living creature can be turned into a zombie but, for whatever reason, most necromancers find humanoid subjects to be far easier to reanimate. Thus, trolls are a popular choice for a death mage looking to add a little strength to his forces. While not quite as tough as their living counterparts, zombie trolls are still creatures to be feared. One metal model, designed to go with 28mm sized figures.